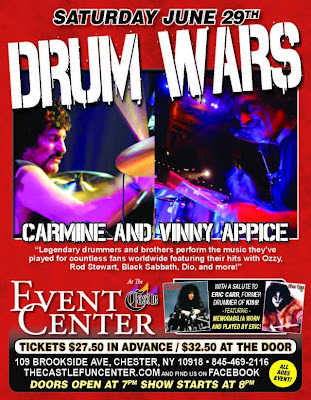 Drum legends and brothers, Carmine and Vinny Appice, will be battling it out for drumming dominance on our Event Room Stage! With both drum sets facing each other in a battle position, the two rock drumming legends hit the stage with energy and power that really explodes! Never seen before rock drum duets written by Carmine & Vinny captures the audience from the beginning, driving them off their feet! This hasn’t been done since Buddy Rich vs. Gene Krupa rocked it out! Together with years of playing arenas with groups such as Black Sabbath, Dio, Heaven and Hell, Rod Stewart, Vanilla Fudge, OZZY, Blue Murder, and Jeff Beck, Vinny & Carmine perform their hits that were played for countless fans worldwide live on stage! 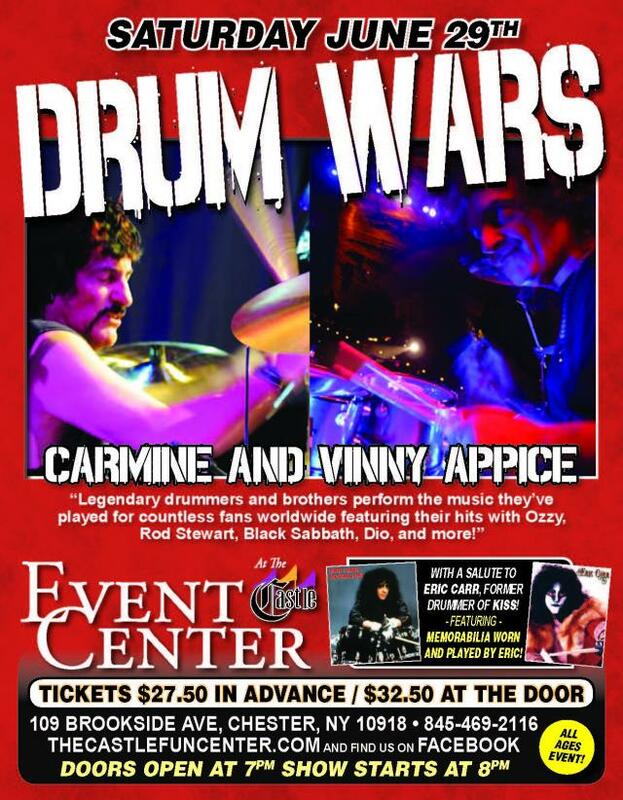 And the grand finale, an explosive APPICE DRUM BATTLE to the very end! A blend of music, drums, showmanship, comedy and the excitement of battle…the show never stops! “You’ve never seen anything like the power of Carmine and Vinny playing Crazy Train together…AWESOME!” as said by fans that have seen the show! This special event will also include a salute to former KISS drummer, Eric Carr, with memorabilia worn and played by Eric. Stop by the EricCarr.Com tables and meet ETRC THE FOX, an Eric Carr impersonator who will be on hand in full makeup and costume to greet fans! All age event. Food and cash bar. Doors open 7pm; show 8pm.